Peterson Auctioneers specialize in the sale of farm and ranch land, being licensed in both South Dakota and Nebraska. We have a long standing background in residential and commercial properties, farm and ranch equipment, and antiques and collectibles. Peterson Auctioneers began in 1955 when founder, Oscar Peterson, decided to attend the Reisch World Wide College of Auctioneering in Mason City, Iowa. 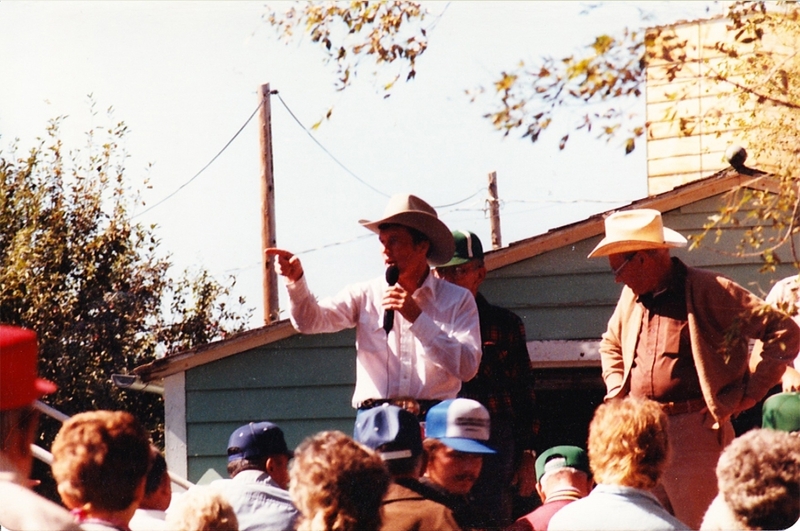 Upon returning Oscar’s business and reputation spread quickly throughout the area as he sold real estate, farm equipment, livestock, and personal property throughout southeastern South Dakota.